Proteos Employee Spotlight: Tony Sutter | Proteos, Inc.
At Proteos, we understand that it is our employees that make our company special. Proteos’ scientific staff has decades of combined experience in the biotechnology and life science industries. We feature staff profiles on our blog so that you can learn a bit more about the hard-working individuals responsible for orchestrating your recombinant protein production projects. Our staff profile series continues with Tony Sutter. Tony is a scientist within the protein expression group at Proteos. His responsibilities include performing protein production tasks associated with mammalian and insect cell culture, harvesting and analyzing samples prior to purification, and writing technical reports. One might consider Tony to be a Proteos veteran as he has been with the company for over 10 years. 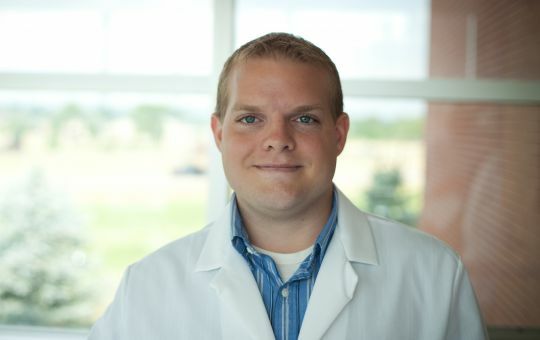 He first joined Proteos in 2007 as an intern while earning his biochemistry degree at Western Michigan University. During this time, he developed a laboratory focus on mammalian and insect cell based recombinant protein expression and upon graduation he was hired as a full-time scientist. When not working in the lab, Tony enjoys playing sports, kayaking, reading, and watching movies. He’s regarded by many in the lab to be the resident film buff. His favorite films are The Thing (1982), The Prestige, and There Will Be Blood.